Following some tweet I found myself desultory watching an episode of the awesome VimGolf in Emacs video series by Tim Visher. Those series are about picking some challenge from vimgolf and implementing it with our favorite editor instead. Because Emacs Rocks guys. Let me tell you upfront that I really dislike the whole idea of the vim golf challenge. I’ve been a user of both Emacs and Vim for many years, and finally decided to switch to living in Emacs; or if you prefer, climbing my way up from level 2 as in The Levels Of Emacs Proficiency. 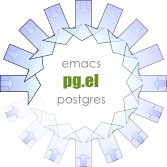 A friend of mine just asked me for advice to tweak some Emacs features, and I think that’s really typical of using Emacs: rather than getting used to the way things are shipped to you, when using Emacs, you start wanting to adapt the tools to the way you want things to be working instead. And you can call that the awesome! In this case we’re talking about the M-x compile and M-x recompile functions.